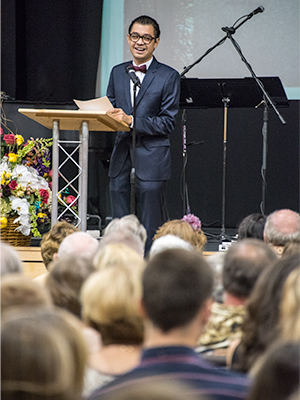 The University of Iowa, Department of Anatomy and Cell Biology, Deeded Body Program, held its annual memorial service for those individuals whose bodies we utilized for educational and research purposes at the UI during the past year, at 2:00 p.m. on Friday, September 23, 2016 at Parkview Church, Iowa City, Iowa. 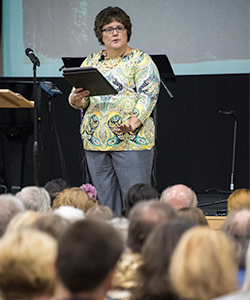 Dr. John Engelhardt, Ph.D., Professor and Chair, Department of Anatomy and Cell Biology at the UI, gave the welcoming and closing remarks Noell K. Andrews, MDiv, BCC Associate Director of Spiritual Services, University of Iowa Hospitals and Clinics delivered the eulogy. Five students who benefited from the donated bodies also participated in the service. In addition, music was provided by medical students. The service was concluded with the playing of Taps. The UI Deeded Body Program helps to advance medical education and medical science. More than 800 UI students and physicians in many disciplines, including medicine, dentistry, physical therapy, nursing and athletic training benefit greatly from these donations. 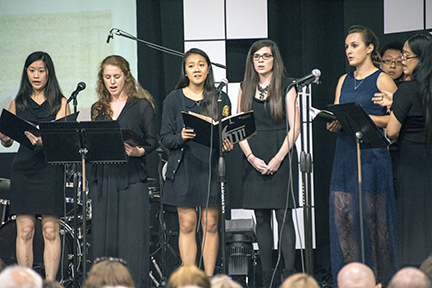 The UI established its tradition of an annual service to commemorate the deeded body donors in 1968. This event is meant to honor donors who gave themselves to the cause of medicine, as well as help bring closure to family and friends. 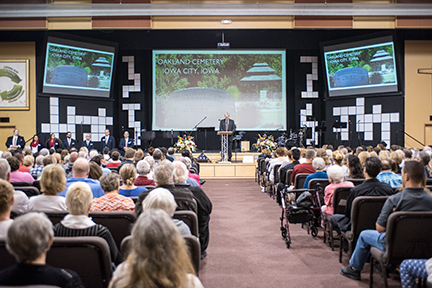 This year, 39 donors were interred at the UI's memorial site at Oakland Cemetery. Other donors' remains were returned to their families at their request.